Bridge the gap between best intentions and the difficulty of following through. Goal setting and accountability enables one-time and recurring givers to take their giving to a new level of faithfulness. 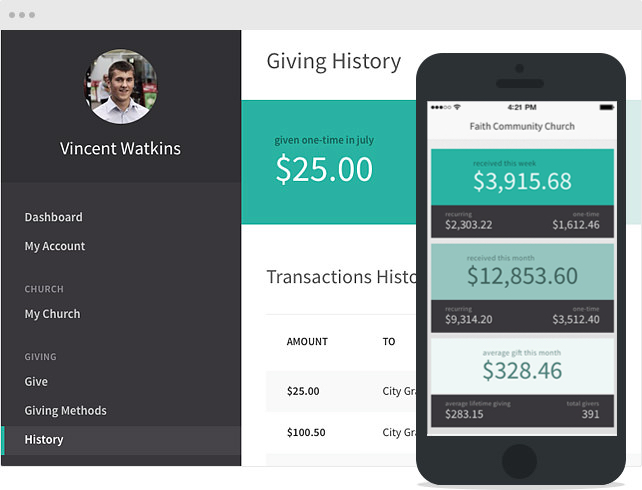 FaithStreet understands that giving is a spiritual discipline, not just an online transaction. Open new ways to build faithful and givers and develop stewardship. 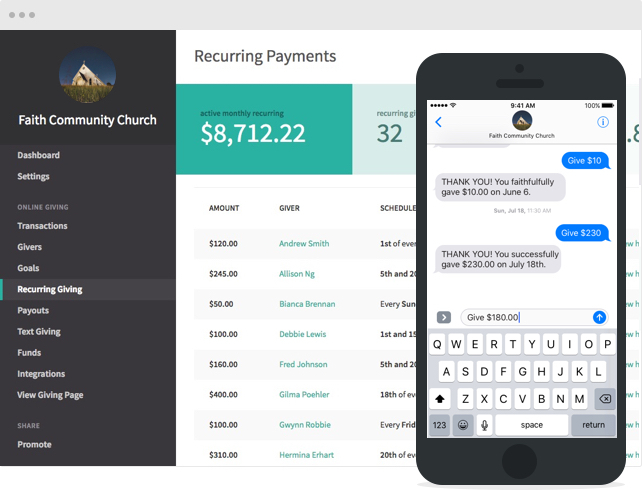 Text giving is as easy as texting a friend. Sporadic cash drops become faithful recurring tithes. Best practices from our entire network, shared with you. Welcome new givers and reach out to those who are slipping away. When givers stop giving, you'll know when and even why. See where you are, know where you're going. Equip your church for the journey. Giving online has been a blessing. It's one less thing to remember each month. 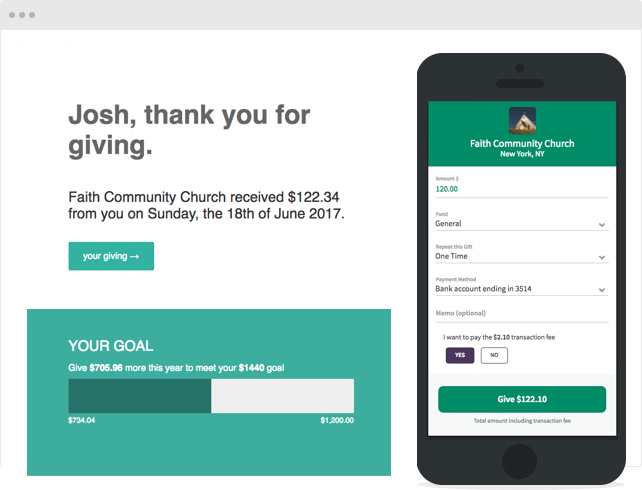 I've been very busy this summer, traveling a lot, and the automated giving allows me to support my church with a tithe without having to remember to do so.